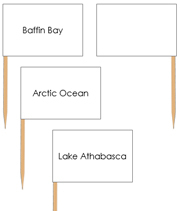 Blank, colored, labeled maps of Canada. 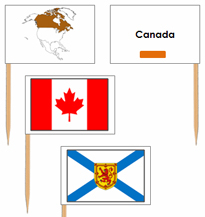 13 Pin flags for Canadian provinces & territories. 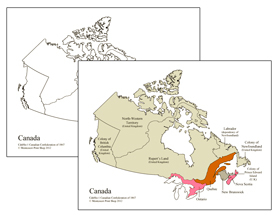 Blank, colored, labeled maps of the Canadian Confederation of 1867. 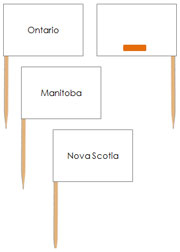 14 Pin flags of Canadian provincial flags. 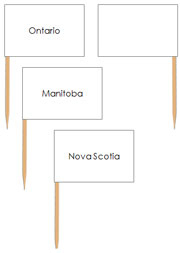 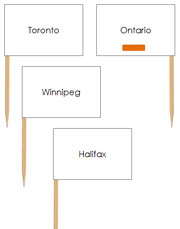 Maps of Canadian capital cities. 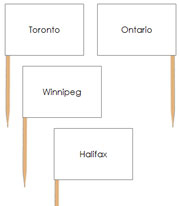 14 Pin flags for Canadian capital cities. 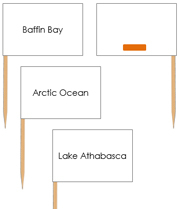 Pin flags for major Canadian waterways.